Find out the truth behind common false beliefs about bone marrow donation. Becoming a member of the Be The Match Registry® is fast and easy. 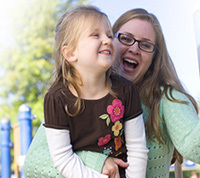 Learn more about Be The Match®, marrow donation and other ways you can help. Share the images and spread the word! You can be someone’s cure. Donors between the ages of 18 & 44 provide the greatest chance for transplant success. Doctors request donors in the 18-44 age group 86% of the time. Age guidelines are not meant to discriminate. They are meant to protect the safety of the donor and provide the best possible outcome for the patient. Learn more about why a donor's age matters. Patients are most likely to match someone of the same ancestry. All donors are carefully prescreened to ensure they are healthy and the procedure is safe for them. 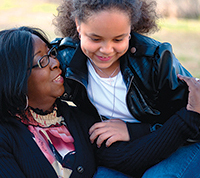 Be The Match provides support and information every step of the way. 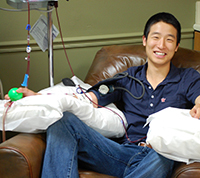 There are two methods of donation: peripheral blood stem cells (PBSC) and bone marrow. The patient's doctor chooses the donation method that is best for the patient. PBSC donation is a nonsurgical procedure and the most common way to donate. For 5 days leading up to donation, you will be given injections of a drug called filgrastim to increase the number of cells in your bloodstream that are used for transplant. Some of your blood is then removed through a needle in one arm and passed through a machine that separates out the blood-forming cells. The remaining blood is returned to you through the other arm. To learn more, watch the PBSC donation video. 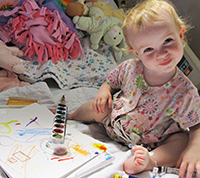 Bone marrow donation is a surgical, usually outpatient procedure. You will receive anesthesia and feel no pain during the donation. Doctors use a needle to withdraw liquid marrow from the back of your pelvic bone. To learn more, watch the marrow donation video. Though no medical procedure is without risk, there are rarely any long-term side effects donating either PBSC or bone marrow. Your cells replenish themselves in 4 to 6 weeks. Because only 1 to 5% or less of your marrow is needed to save the patient’s life, your immune system stays strong. Donors never pay to donate marrow. We reimburse travel costs and may reimburse other costs on a case-by-case basis. All medical costs for the donation procedure are covered by us or by the patient’s medical insurance. Total cost to add a new member to the Be The Match Registry is about $100. We rely on financial contributions to help cover costs of adding members to the registry. Your gift saves lives. Be The Match relies on financial contributions.